Telex BTR-80n is the narrowband version of the popular BTR-800 System. 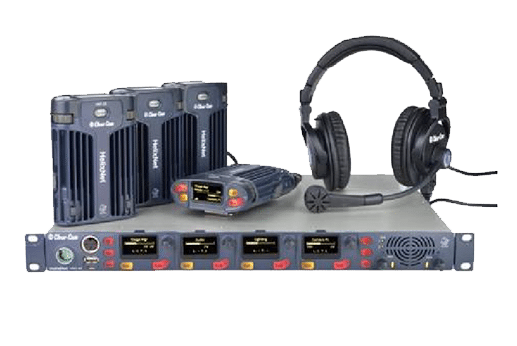 We just purchased a brand new Clear-com Freespeak wireless com system capable of supporting up to 25 belt packs. This system has more flexibility than any wireless com system ever made. The reception is incredible. AV Vegas specializes in all types of audio system rentals in Las Vegas.